Beautifully remodeled 3BR-2BA-2GA home in South Oak Park! 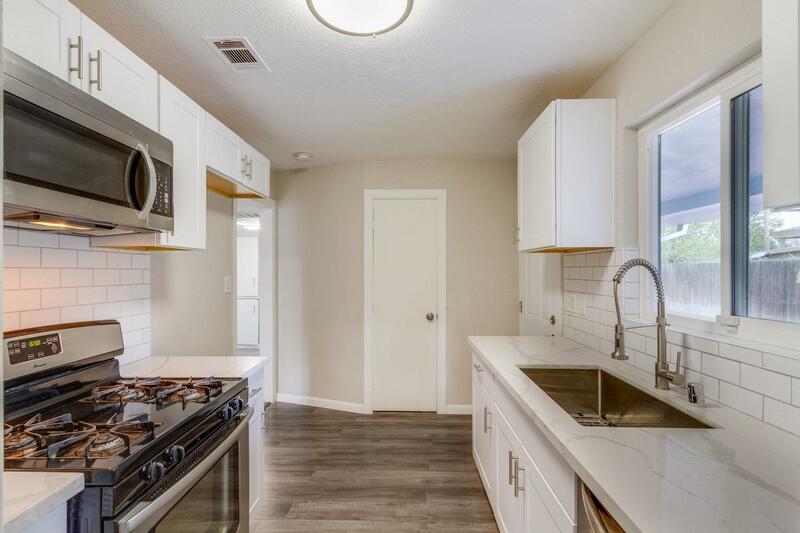 This home features a new HGTV-style transitional kitchen with white shaker cabinet and Calacatta quartz countertop, complemented by classic white subway backsplash tiles and stainless steel appliances. The main bathroom was updated with clean gray porcelain tiles on the wall and luxury Carrara marble hexagon tiles on the floor along with modern gray bath vanity and fixtures. This beautiful home also comes with new exterior and interior paint, spacious living room with recessed lighting, laminate flooring throughout the home, double pane windows, newer HVAC and water heater. Accessible by I-99, I-80 & I-50 freeways, near UC Davis Medical Center & Sacramento City College, less than 10 minutes away from Midtown and Downtown.